I have to thank journalist Suzanne Maastricht at AFP for the title above and she is absolutely right. Proving yet again that the French have a split personality towards wine right now (see Wink’s post on her personal blog last month), the government has just created a new Ministry for Wine Tourism. The Wine Tourism Council will be officially under the control of the French Ministry of Agriculture, the Ministry of Culture and Communication, and the Ministry of Tourism. It will be run by Paul Dubrule, whose tourism credentials are thankfully formed well away from the government, as co-founder of Novotel and president of the Accor hotel group between 1983 and 1997. Today he owns a vineyard in the Lubéron, and part of his remit will be to organise a national plan for wine tourism – with awards for the best initiatives, training for wine tourism professionals and some kind of national quality scheme among the proposed activities. All well and good of course, and of particular interest to those of us who love visiting wine regions in France. But surely this makes a mockery of the fact that, just a few doors away in Paris, there are other members of the government busily working away at how to make tasting at the châteaux door an illegal act, or to declare those talking about wine on the internet open to potential prosecution? If you understand French, then to find out more on how France is shooting itself in the foot, read the excellent and detailed blog post on the subject from Belgium wine writer Hervé Lalau and, as he suggests, spread the word. And in the meantime, the vignerons need all the support we can give them, so plan your wine tour around France now! 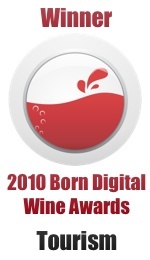 This entry was posted on Thursday, March 5th, 2009 at 3:07 pm and is filed under Wine Tourism General. You can follow any responses to this entry through the RSS 2.0 feed. Both comments and pings are currently closed. Subject to ratification by the senate, on Friday 6th March the French government gave a reprieve to wine tastings and wine festivals in their proposed new health laws concerning alcohol sold through ‘Open Bars’. They also agreed on Monday 9th March to formally allow alcohol sales and promotion via Internet, though these will be subject to the same stringent conditions that the Loi Evin imposes requiring a warning statement. They have incidentally decided to raise the minimum age for purchase of alcohol from 16 to 18. The wine industry will live to see another day (just).